When you are young love is this invisible thing that no one can really explain or define. It is this power that makes you miss your family when you are away from them, and that makes you delight in being with them again. It is the feeling that you have when you cuddle your pet and when it cuddles you back. Trying to understand what love is is hard, and yet in today's picture book Matt de la Pena and Loren Long have found the perfect way to explore the nature of love. Their book is timeless and powerful, beautiful and thought-provoking. You may think that love comes in only one form, but this is not the case. Love surrounds us and it comes in many forms, more than we can count or imagine. Love can be seen in the eyes of our parents when they look down at us as we lie in a crib or a cradle. It is in the movements of a father and daughter as they dance together on the roof of a trailer. They may not have a fancy home or car, but these two share a tie that is boundless and strong. On a hot summer day, when children play in sprinklers on the street, the echo of their laughter is the sound of love. Love can be found in the wrinkles on a grandfather’s face as he sits on a bucket so that he can fish with his grandchild. It is in the notes of music that the ragged busker makes as he sings outside the subway station. Love is also that thing that sustains you when hard times come. When fires flare, and relationships fail it is there. When tragedies happen love is that thing that your people wrap around you so that you can feel safe. Is the thing that fills the arms that hold you, and it can be heard in the voices that comforts you. Sometimes love can be found in places that you have to look hard to see, but when you do see it there you are lifted up. 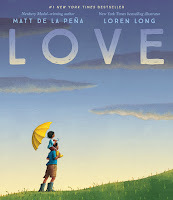 This beautiful book celebrates love in a stunning and powerful way. I have always had a soft spot for moles. Yes I know they mess up my garden and lawn with their earth mounds, but I really don't mind. 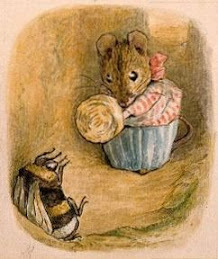 I love the idea that the cunning little creatures are borrowing away under my feet, seeking out food and working on their subterranean passages. 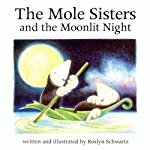 I therefore love books that feature moles, and two of my favorite mole characters are the Mole Sisters. Today I bring you a wonderful little story in which the sisters have a little nighttime adventure. It is a perfectly beautiful moonlit night, and the Mole Sisters go boating on a pond in a little leaf boat. As they lie in the bottom of the boat looking up at the full moon, they see a brilliant shooting star flash across the sky. Quickly the two little moles make a wish, and before you know it their wish has come true; they are on the moon! It isn't long before the two moles start feeling homesick. After all, they say as they look at a distant Earth, "the world really is a wonderful place." How are they going to get back to the planet that they call home? In this delightful little picture book, young readers will find themselves being transported to a beautiful, soft moonlit night in the company of two charming little creatures. What is special about the Mole Sisters is that they appreciate the beauty of their world, and they are also clearly devoted to one another. In this book a minimal text and lovely colored pencil drawings breathe life into the simple world of two little moles. Their enchanting adventures have charmed young children and their families for years. Many people covet the idea of going to live in the tropics. They dream of the warm temperatures, tropical flowers, and blues seas. One of my favorite places on the planet is Hawaii, but I know that I would not like to live there year round because I love experiencing summer, fall, winter, and spring. I look forward to the gifts of the coming seasons. Right now summer peaches are on my mind, and I am eager to spend time sitting by the lake, watching the eagles soaring on the thermals. In this delightful poetry book we take a journey through the year, experiencing the wonderful things that the seasons bring us as the Earth travels around the sun. We are going to take a journey through a year, exploring the natural wonders of the seasons and the ways in which these ancient rhythms affect the human world. We are going to look at a beach in the spring when "a gull hangs like an icy flake" between the sea and the sky. We are going to listen to a summer storm as "thunder snaps/With a splitting crack!" In the fall we can imagine "Goblins prowl the streets" on Halloween. And, in the winter we can feel the cold as we skate across the pond leaving a "frosty trail" behind us. Using both rhyming and non-rhyming poetry, the author of this poetry collection paints a stunning portrait of a year in words, a portrait that is rich in imagery. Readers will find that all their senses are engaged as they go from season to season and from poem to poem. The visual impact of this book is especially noticeable because a different illustrator has created the art for each of the seasons. Thus each season has a distinct feel and appearance. Each piece of artwork provides the perfect backdrop for the poem that accompanies it. On April 22 we Americans celebrate Earth Day Back when I was working in the environmental movement in Washington, D.C. it was a day full of festivals, conferences, speeches, and other events. These days I don't get involved in a lot of hoopla, but instead I tend to go out into nature to remind myself what the hoopla is all in aid of. All year round I do as much as I can to tend to our precious planet, and on Earth Day, I celebrate the marvelous place that it is. Today I bring you a picture book that ties into this sense of celebration. The words in this book will remind readers that our planet is beautiful place, and it is also a great teacher. For the most part we humans do not have a healthy relationship with the Earth. We like to dominate it. We use and abuse it. We do not listen and learn from it, even though we should. The Earth has much to teach us and if we make it our “companion,” and if we “we walk lightly on it, as other creatures do,” it has so much wisdom to share with us. 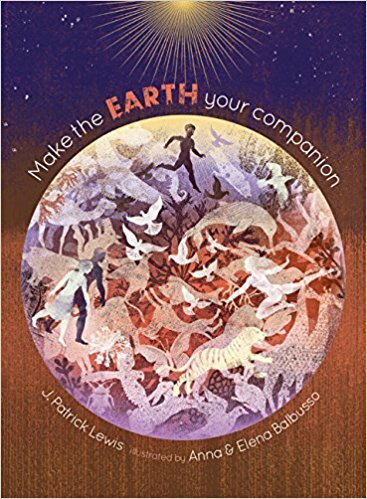 In this book J. Patrick Lewis’ words, and the art created by Balbusso sisters, show us to great effect what a remarkable teacher the Earth is. The message this book’s creators share with us is a rich and powerful one, and it will resonate with readers of all ages. This is a book to treasure, savor, and share.